Foot and ankle injuries can make it very difficult to return to work. Primarily, they affect your ability to stand and walk. Most jobs require you to do some amount of standing and walking. Even if you are able to stand and walk fine after your foot and ankle injury, you may find that more physical parts of your job are difficult. Many jobs require you to work at heights or have good balance. You will likely have difficulty doing this if your foot and ankle does not heal completely. 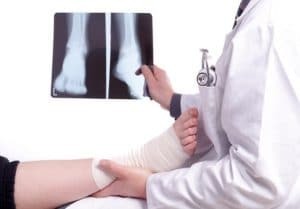 If your foot and ankle does not heal up completely, you should certainly consider whether settlement of your workers compensation case would be a good option. This article will discuss settlement generally as well as some of the specifics to consider when considering settlement of a foot and ankle injury. Does my employer have to provide me with a light duty job if I cannot go back to my regular job? Foot and ankle injuries often make it hard for your to return to your regular job. This is especially the case if that job requires you to be on your feet most of the day. Unfortunately, Georgia’s workers compensation law does not require your employer to provide you with a suitable job. The basic duty of your employer is either to provide you with a job that is suitable to your work restrictions or to pay you workers compensation benefits. Other areas of the law might require your employer to accommodate your limitations. For example, the Americans with Disabilities Act (ADA) sometimes requires employers to provided accommodations for employees. Also, if you work through a union or under an employment contract, you might have some right to light duty employment that is provided under your contract. Why does it matter if my foot and ankle injury prevents me from going back to my regular job? Unfortunately, many employers now have policies that provide that your employment will end after you have been out of work for some set period of time. Some employers will end your employment after you have been out of work for a year. Other employers terminate employment after six months or less. Often, termination of your employment will mean that you lose your employer provided health insurance coverage unless you select COBRA coverage. If you work for an employer who provides retirement or other benefits based on years of service, a termination can also affect what retirement benefits you qualify for. The doctor gave me a permanent partial disability rating. Is that the same thing as a settlement? No. A permanent partial disability (PPD) rating is different from a settlement. PPD ratings pay you for the permanent impairment to your body as a result of your injury. PPD benefits are just one of the three basic types of Georgia workers compensation benefits. 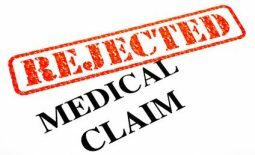 You can receive a PPD rating and even payment of PPD benefits without actually settling your case. Settlement of a case generally involves accepting a lump sum amount of money in exchange for signing some documents where you give up future rights in your workers compensation case. In a Georgia workers compensation case, a settlement agreement (usually called a Stipulation) has to be approved by judges at the Georgia State Board of Workers’ Compensation. 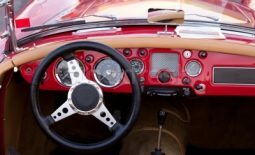 Do I have to settle my Georgia workers compensation case? No. You are never required to settle your case. Settlement is completely voluntary. In Georgia, you have every right to keep your case open and receive whatever workers compensation benefits you might be entitled to receive in the future. What happens if I do not settle my workers compensation foot and ankle injury case? If you do not settle your case, it stays open. So, you may continue to receive weekly benefits and or medical benefits from the workers compensation insurance company. You do need to know that there are limits and deadlines that apply to your workers compensation case. These deadlines can limit your right to additional benefits or cause you to lose your whole case. Keeping your case open provides no guarantee that you will receive additional workers compensation benefits.